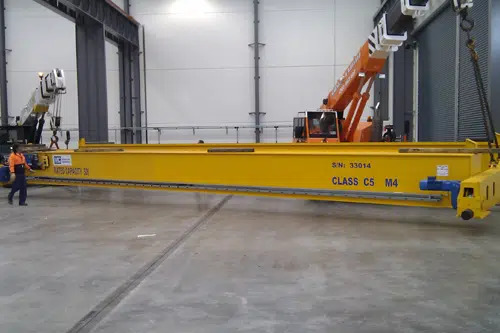 The main structure of the crane is composed of boxed steel with two beams or profiled ones with travelling motorised carriages. 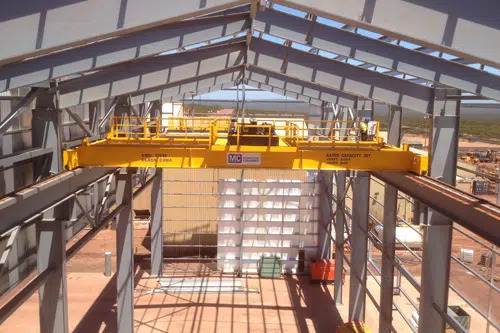 The lifting system consists of winch or wire rope hoist in accordance to the requirements which run on beams allowing horizontal movements. 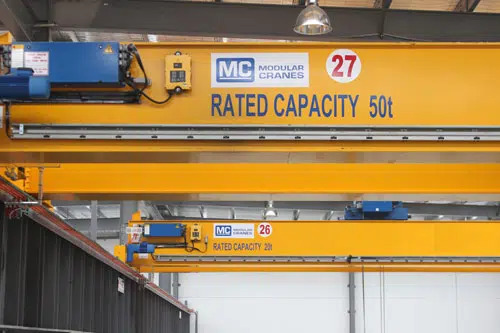 Double Girder Overhead Cranes offer higher load capacity and minimum deadweight. 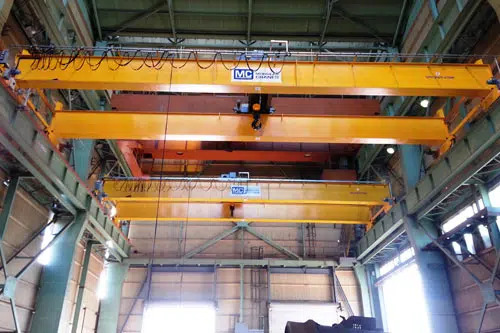 Hoist load hook can be raised between the two Crane Girders which enables maximum lifting heights. Modular cranes in-house design engineers can design Double Girder Cranes for spans of up to 40 metres and feature versatility and flexibility to accommodate specific or unique requirements with, faster long travel speeds, maintenance platforms, crab units with access platforms, walkways, service platforms, and auxiliary hoists are all features that can easily be implemented. Double Girder Bridge Cranes are most frequently used where capacities over 10 tons and/or spans of over 20m. 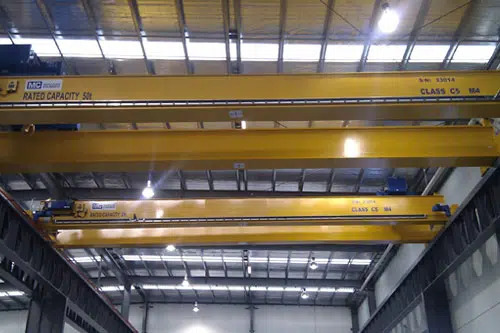 The main structure of crane is composed of boxed steel with two beams or profiled ones with travelling motorized carriages. 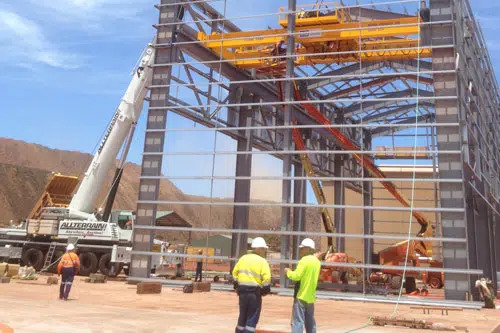 The lifting system consists of winch or wire rope hoist in accordance to the requirements which run on beams allowing horizontal movements. 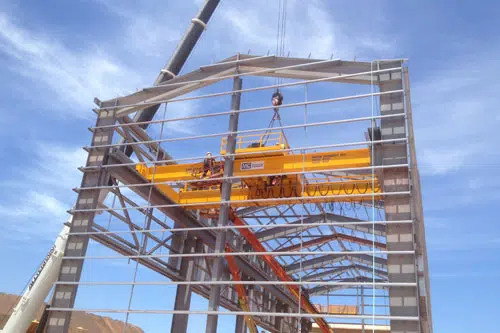 One of the biggest advantages of a Double Girder Crane is the ability to fit two or more hoists Double Girder Cranes have a wide range of application and because they are built for strength and height, they are commonly used in Mining, Production, Fabrication, Manufacturing, Heavy Engineering, Railways and Furnaces.